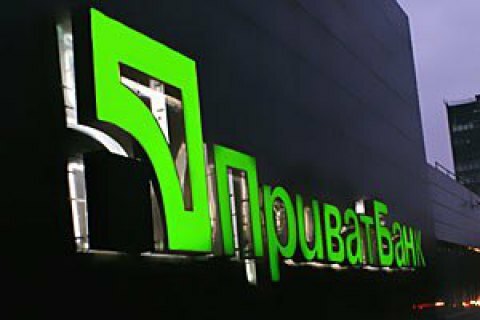 Ukraine's Privatbank on December 19 froze the funds on corporate accounts, Finklub wrote with a reference to "Privat24 for business." The report said the conduct of debit transactions from the accounts and cards is allowed within the amounts exceeding the balance on these accounts as of the morning of December 19, while all credit limits on accounts, overdrafts, limits of guaranteed payments and business instalments are zeroed or reduced to the level of debt (if any). At the same time, all receipt operations are serviced without restrictions. "This corporate banking mode is a temporary solution. Any further change will be made by Mr. Shlapak as soon as he assumes office as the bank's CEO," reads the statement. The government of Ukraine on December 18 decided to nationalize Privatbank. The largest bank in the country will go into a 100% state ownership. On 19 December, an interim administration was introduced for three days' term. After that, the bank will be nationalized by the conversion of T-bills to be issued by the Ministry of Finance in Privatbank's capital. Finance Minister Oleksandr Danyluk promised that no restrictions in connection with the nationalization of Privatbank will be introduced , except for the suspension of corporate payments for a day.